This case report describes a technique used to treat smooth surface white spot lesions microinvasively. It is based on the infiltration of an initial enamel caries lesion with low-viscosity light-curing resins called infiltrants. The surface layer is eroded and desiccated, followed by resin infiltrant application. The resin penetrates into the lesion microporosities driven by capillary force and is hardened by light curing. Infiltrated lesions lose their whitish appearance and look similar to sound enamel. Additionally, the treatment prevents lesion progression. This technique might be an alternative to microabrasion and restorative treatment in treating of white spot lesions of esthetically relevant teeth. A new minimally invasive technique for treating white spot lesions is by caries infiltration, a product of "DMG," called "Icon." The advantage of resin infiltration is that enamel lesions lose their whitish appearance when their microporosities are filled with the resin and look similar to sound enamel. A 19-year-old female patient named Ms. Ashwini reported to the Outpatient Department of Conservative Dentistry and Endodontics, College of Dental Sciences, Davangere, Karnataka. She presented with a chief complaint of white spot in the mandibular right anterior area since 5-6 months. On oral examination, there was a carious white spot lesion in relation 31, extending horizontally at the incisal third of the tooth [Figure 1]a to i and another male patient named Mr. Sandeep, of age 20 years, presented with the chief complaint of white spot in the maxillary left anterior area since 2 months. On oral examination, it was also diagnosed as a white spot lesion in relation to 21 and 22 at the incisal third of the tooth [Figure 2]a-f. The following case report showed that after 3-months follow-up, there was no progression of white spot lesion and there was an improvement in the esthetics on clinical examination. Based on these studies, it is shown that the resin arrests the progression of white spot by occlusion of the microporosities that provide diffusion pathways for acids and dissolve minerals; it also blocks the further introduction of any nutrients into the porous system. Secondly, the white opaque appearance of the lesion can be masked by using resin infiltration. The principle of masking enamel lesion by resin infiltration is based on changes in light scattering within the lesion, which was proved by the study conducted by the authors Kidd and Fejerkaro, who stated that the enamel has a refractive index of 1.62. In the subsurface lesion, the pores are filled with a watery medium with a refractive index of 1.33. The difference in refractive index between the water and the enamel affects light scattering and makes the lesion look opaque. The microporosities of the enamel caries lesion are filled with either a watery medium (R.I. of 1.33) or air (R.I of 1.0). The microporosities of infiltrated lesions are filled with resin (R.I. of -1.46), which, in contrast to the watery medium, cannot evaporate. Therefore, the difference in refractive indices between the porosities and enamel is negligible and lesions appear similar to the surrounding sound enamel. DMGs Icon Resin is a new microinvasive technology that will fill, reinforce, stop the caries progression and mask the enamel white spot lesions. The main aim or objective of the caries infiltrant is to arrest caries progression by occlusion of the microporosities that provides diffusion pathways for acids and dissolved minerals , ; it also blocks the further introduction of any nutrition into the porous system and there is improvement in the esthetics. This new technique is contraindicated in other causes of white spot lesion, like flurosis, hypoplasia, hypocalcification, erosion, tetracycline staining and trauma. Cosmetics and esthetics are current trends of our society, as more and more patients are demanding for minimally invasive cosmetic enhancement without anesthesia, drilling and less-expensive restorations. This technique may be considered as a microinvasive treatment of smooth-surface white spot lesions and also one that allows for the recovery of natural tooth appearance. However, more clinical data are needed. The author would like to thank Mr. Rajnish Verma, Manager of Dental Avenue, India Private Limited, Mumbai, for providing with the products of DMG Icon. 1. Kidd EA, Fejerkov O. What constitutes dental caries? Histopathology of carious enamel and dentin related to the action of cariogenic biofilms. J Dent Res 2004:83(Spec No C):C35-8. 2. 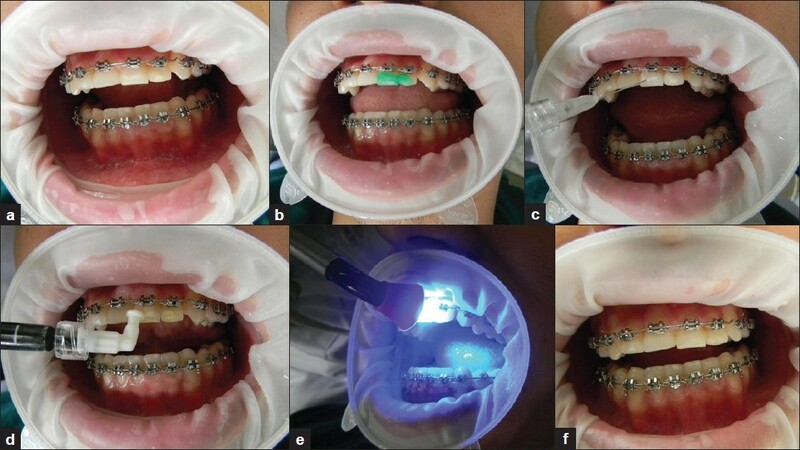 Mattousch TJ, Van der veen MH, Zeutuer A. Caries lesion after orthodontic treatment followed by quantitative light induced fluorescence: 2 year follow up. Eur J Orthod 2007;29:294-8. 3. Staudt CB, Lussi A, Jacquet J, Kiliaridis S. White spot lesions around brackets: Invitro detection by laser fluorescence. Eur J Oral Sci 2004;112:237-43. 4. Ardu S, Castioni NV, Benbachir N, Krejci I. Minimally invasive treatment of white spot enamel lesions. Quintessence Int 2007;38:633-6. 5. Mueller J, Meyer lueckel, Paris S, Hopfenmuller W, Kielbassa AM. Inhibition of lesion progression by the penetration of resins in vitro: Influence of application procedure. Oper Dent 2006;31:338-45. 6. Paris S, Meyer-Lueckel H. Inhibition of caries progression by Resin infiltration in situ. Caries Res 2010;44:47-54. 7. Paris S, Meyer-Lueckel H, Kielbessa AM. Resin infiltration of natural caries lesion. J Dent Res 2007;86:662-6. 8. 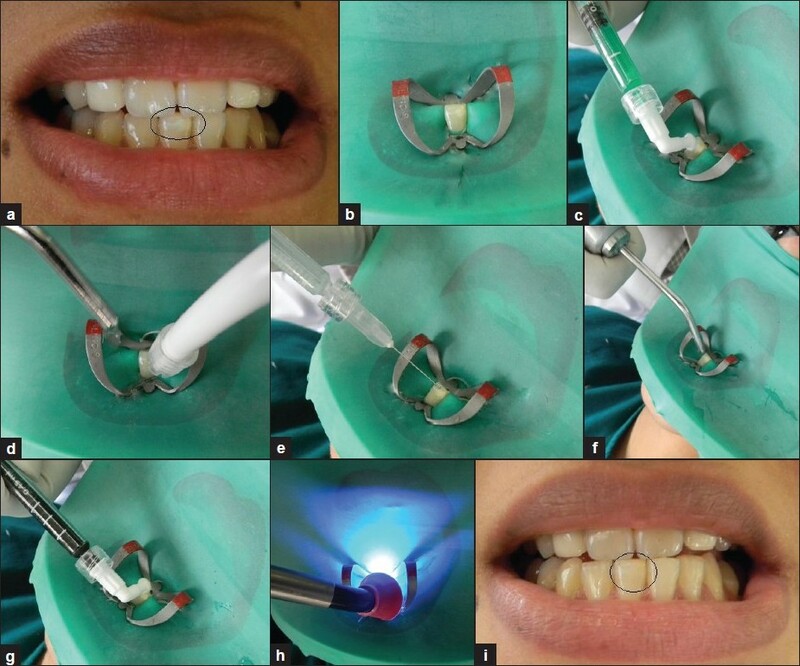 Meyer-Lueckel H, Paris S. Improved resin infiltration of natural caries lesion. J Dent Res 2008;87:1112-6. 9. Paris S, Meyer-Lueckel H. Masking of labial enamel white spot lesions by resin infiltration -a Clinical report. Quintessence Int 2009;40:713-8. 10. Meyer-Lueckel H, Paris S. Progression of artificial enamel caries lesions after infiltration with experimental light curing resins. Caries Res 2008;42:117-24. 11. Meyer-Lueckel H, Paris S, Kielbassa AM. Surface layer erosion of natural caries lesion with phosphoric and hydrochloric acid gels in preparation for resin infiltration. Caries Res 2007;41:223-30. 12. Kidd EA. How 'clean' must a cavity be before restoration? Caries Res 2004;38:305-13.
wang, l. and jian, j. and lu, h.-f.